Liberty Mutual Insurance has been giving its customers assurance and peace of mind for over a century of service. They offer a wide array of products to safeguard the people and things valued most. The company entered the industry as The Massachusetts Employees’ Insurance Association (MEIA), established on July 1, 1912. They were owned entirely by the multitudes of policyholders for whom Liberty Mutual works. They built a long-trusted insurance company providing everything one might come to expect from one of the leading firms in the field. Liberty Insurance has a litany of useful policies with a range of coverage choices suitable for any size house and all of the things within. Regardless of how big or small your home, whether it is a condo or mobile home, or the combined value of all the personal belongings that you cherish, all standard Liberty Mutual homeowners insurance policies come with a variety of fundamental elements that every homeowner needs. They keep you fully covered in the event of disaster, theft, or any other perils that you might encounter. Physical Structures: This portion of the policy protects the main structure of your home, as well as any other physical dwellings that exist on your property. Should any of these structures become damaged or destroyed as a result of a loss or peril that is covered by the language of your policy, Liberty Mutual will pay to have them repaired or replaced in full. Personal Belongings: This includes clothing, appliances, TV, stereo, computer, pretty much anything within your home. If it is broken, stolen, or destroyed, your coverage can have those items fixed or replaced. Some items may not be covered by the basic policy, which might require you to purchase additional protections to make sure they are fully covered. Liability: Should someone get injured or their possessions damaged while they are on your property, Liability Insurance protects you against any claims or judgments brought against you, up to the maximum benefit as determined by your policy limits. In addition to covering you in the event of a suit, your coverage can also take care of medical expenses under your policy maximum. Living Expenses: If you find yourself having to live somewhere other than your home due to one of the many causes covered under your policy, Liberty Mutual will pay for expenses incurred in finding alternative living arrangements until your home is habitable once again. Additional Insurance Coverage: For some homeowners, the standard coverage may not be sufficient enough to insure their home and belongings. Liberty Mutual offers additional policy options that work to extend your limits and provide extra protection for safeguarding. You can choose to add some or all of them to your basic policy. Home Protector Plus: This is Liberty Mutual’s most functional and beneficial coverage option. It expands your limits and covers any unforeseen expenses that might come with replacing or repairing your dwelling or personal property. It also makes sure you get the full replacement cost of any personal items that are destroyed or lost. That means you get the total value, not the depreciated worth at the time of the claim. Liberty Mutual will also help you find exactly the same version of the item you lost or the closest thing to it as a replacement. 24 Hour Emergency Assistance: This extra coverage lets you make claims at any time, day or night. It also allows for repairs or replacements to be made at any time, 24/7. Loss Forgiveness: In the event you are forced to file a claim due to loss as a result of a covered peril, your rates will not automatically go up just because something happened in or to your home. Extra Coverage for Valuable Items: Your basic policy only covers so much when it comes to your personal belongings. For other items of value such as jewelry, expensive sports gear, antiques, musical equipment, or artwork, buying additional coverage will make sure you that all of your belongings safe and sound, should something happen to it under any of the covered perils. Inflation Protection: Buying this coverage will alter the coverage limits of your policy to better reflect current inflation trends each time you renew your policy. This additional coverage will also afford you a discount on your rates so you save as much as possible. The Benefits of Liberty Mutual Insurance: You know what you’re getting with the standard policy The added features of additional living expenses, 24 hour emergency and repair assistance, their personal property replacement services which replace the same item or comparable in the event of a loss, and their loss forgiveness program keeps your rates from rising. Their customer service is also a big selling point with Liberty Mutual. It allows you to manage your policy whenever you wish. Online Policy Assistance: Once you register an account on the Liberty Mutual website you can set your billing preferences, arrange and make payments, and view your policy in full. You can make changes to your coverage, or check the status of a claim at 24/7. If you have any questions after normal business hours, you can always contact the company’s Customer Response Center. Homeowners Insurance Rates: Everyone pays different premiums for their insurance. Why do you pay X for your policy while your neighbor or friend pays Y? It’s more than the size of your home and what it costs to repair or replace it, though that is one deciding factor. Here is a list of ways that Liberty Mutual determines how high or low your rates will be when you purchase a policy for Homeowners Insurance. Costs: Each home is different. There are varied costs for repairs and replacement of the structure or the actual home and the items inside it. Location: The address of your home can play a big role in determining how much you will pay for your premiums. Crime rates, weather trends, and other risk factors are considered, along with how close your home is located to a fire station or law enforcement agency. Deductible: Your deductible plays a factor simply because that is the amount you need to pay before your coverage kicks in. If you have a higher deductible, that is a good way to get your premiums down. Security Devices: If you have installed a burglar alarm, deadbolt locks, and/or smoke and CO2 detectors in your home, that will also have a big impact on what you will pay for premiums each month. Homeowners Insurance Discounts: Once your rates have been established, Liberty Mutual gives you a wide array of opportunities to save money on your monthly premiums with discounts. Most of the options that Liberty Mutual offers their customers are similar to those that many of their competitors provide, as related to the policy and the home. Claims Free Discount: Save on the rates of a new policy if you did not file any claims on your previous policy for a minimum of five years. Safe Homeowner Program: New customer or not, if you hold a homeowners policy with Liberty Mutual you get a discount on your rates if you don’t file a claim for three or more years. Multi-Policy Discount: Buying multiple policies under Liberty Mutual earns you major savings on comprehensive coverage. This can be any other type of policy such as Automobile or Life Insurance. Early Shopper Discount: If you start shopping around for insurance prior to the expiration date of a previous policy with a different company, get a discount for requesting a quote with Liberty Mutual. Group Member Savings: You qualify for additional savings if you are one of the over 14,000 individuals who can claim membership among a list of companies, organizations, alumni associations, credit unions or other groups, that are included in Liberty Mutual’s Affinity Program. Protective Devices Discount: Those safety devices that play a factor in determining your rates can also bring you savings on rates. New Home Discount: If you just bought the home that you are insuring, you qualify for a discount. New Renovations Discount: Make any big changes or rebuild any part of your home and you are eligible for a discount. Insured to Value: Buying a policy that insures your home up to the full replacement cost would also yield a sizable break on your premiums. These types of coverage can also be found, in whole or in part, as components of similar products such as Renters, Condo, Mobile Home, and Landlord Insurance. All of which are available through Liberty Mutual. In order to legally operate a motor vehicle you must be prepared to show proof of insurance when asked by an officer. Each state has varying minimums which dictate the limits of your coverage so you may adequately meet the legal requirements for paying any costs that might arise from an automobile accident in which you are at fault. The state mandates may be insufficient to meet the needs of you and your automobile, so you may wish to purchase higher limits of insurance and/or any additional protections that extend the basic parameters of your policy. All standard Liberty Mutual automobile insurance policies come with a set of typical coverages and features that every driver needs to stay safe and secure on the road. Liability Coverage: Your policy will cover liability for both bodily injury and damage to property. So if you are responsible for an auto accident where a person sustains any type of injury or you crash into someone else’s property whether it is their vehicle, a fence, lamp post, this coverage will pay out all of the costs for medical care and to repair or replace all damaged property. This does not pay for your expenses that might arise from the accident. New Car Replacement: If you total your car in a wreck, Liberty Mutual will reimburse you for the entire value of a brand new vehicle not the depreciated value. There are some restrictions, of course, as your car has to be less than a year old with less than 15,000 miles. If not, you won’t qualify for this coverage. Medical Expenses: This is the portion of your policy that addresses the medical costs for you and any passengers who may be riding in your car at the time of an accident. This will cover all of your initial medical costs. Accident Forgiveness: If you get into your first accident while carrying a Liberty Mutual policy, they will not jack up your premiums just because you were involved in a crash. 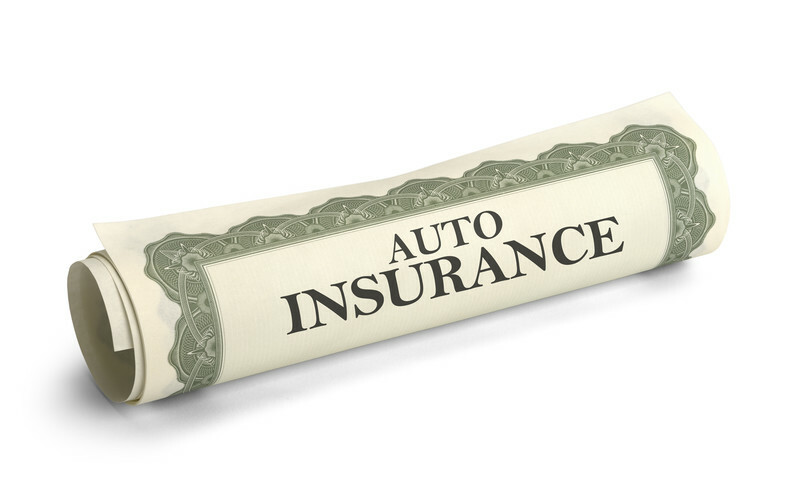 This is a standard component of their auto policies, whereas some companies include it as an addition coverage for extra protection. Extra Added Protection Options: Sometimes the standard policy coverages aren’t enough to fully protect you or your automobile, so Liberty Mutual offers a menu of additional coverage options and features that can be added to your existing policy. This way you have complete security no matter what you encounter along the way. Collision Coverage: This coverage takes care of any costs of repairing your motor vehicle in the event you crash into another vehicle or any sort of object. Comprehensive Coverage: Similar to collision in that it covers repair costs of your vehicle but this applies to a different reason for the damage. In this case, if the car is damaged due to theft, vandalism, a tree branch, fire, most causes that don’t involve you behind the wheel. Better Car Replacement: This coverage is best-suited for insured drivers who are not operating a brand new car. It works much the same way as New Car Replacement in that if you total your car, Liberty Mutual will reimburse you with the money to purchase the same type but one model year newer and with less than 15,000 miles on the odometer. Rental Car Reimbursement: It’s just as it sounds, if your car is inoperable for any length of time due to an accident and you need to rent a car, then the company will pay for it while your vehicle is being repaired at a Liberty Mutual-approved repair facility. Deductible Fund: With this addition to your policy, you can have the deductible on your collision coverage reduced as well as your out of pocket expenses should you need to file a claim. Liberty Mutual will contribute $100 to help you start the fund and it will be applicable to those costs. Lifetime Repair Guarantee: Liberty Mutual has a network of repair facilities where your vehicle can be fixed and all of the work is guaranteed for as long as you own the vehicle. This protection covers those repairs for the long-term should anything happen after the fact. Teacher’s Insurance: If you are an educator of any kind, you are eligible for additional protection features and discounts that are only available to teachers. Liberty Mutual offers competitive rates on all of its automobile policies and keeps pace with other companies in the industry where their discounts are concerned as well. They have a long list of ways in which you can save money on your rates each month. Some are similar to those that can be found with homeowners insurance policies and others are designed exclusively for automobile policies. Multi-Policy Discount: Just like with a homeowners policy, you can save on your auto coverage if you carry more than one policy with Liberty Mutual. Group Member Savings: This one is also the same as the homeowners discount, where you can qualify for savings if you can demonstrate membership with the over 14,000 qualifying organizations and associations recognized by Liberty Mutual. New Liberty Mutual Vehicle Discount: Adding a car or changing it on your policy will qualify you for savings on your rates. Preferred Payment Methods Discount: The way you bill can also mean savings on your premiums. You can get a discount if you pay your bill in full or enroll for automatic payments. If your car has any number of safety features like an alarm, air bags, anti-lock brakes, or other collision and adaptive cruise control systems installed, you could see big savings on your rates. Hybrid Discount: Liberty Mutual wants to promote clean energy and green practices so if you drive a hybrid vehicle you can expect a discount on your premiums. Multi-Car Discount: If you insure more than one vehicle with Liberty Mutual they will reward you for your loyalty by reducing your rates on all of the cars you are insuring with them. Teen Driver Discount: If you have a teenager on the policy, they can earn a reduction on premiums for as long as they demonstrate good driving habits without any citations or accidents. Good Student Discount: If you or your child are a full-time student under the age of 25 and maintaining a B average or higher at school, that can also earn you or them a discount on their policy premiums. “New” Discounts: Liberty Mutual offers discounts for reaching certain milestones in life, whether you have recently graduated high school, gotten married, or moved to a new home, all of these can bring you savings on your policy. This also goes for any insured drivers who may have just retired. These types of coverages can also be found in whole or in part as components of similar products such as Motorcycle, ATV, Boat, RV and Antique or Classic Car insurance. All of which are available through Liberty Mutual and come with unique elements to best cater to safeguarding those types of vehicles. Liberty Mutual doesn’t just want to protect your home and your vehicle, they also offer products to protect you and your loved ones in the event of your untimely passing. 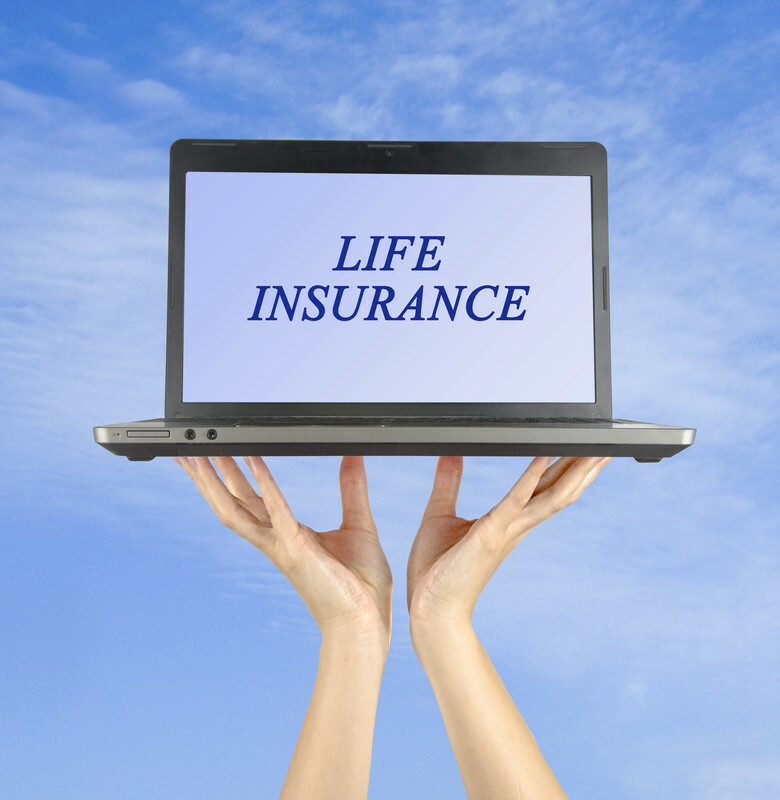 They have most of the standard life insurance products that are available from every company in the industry at the moment. In addition, they also provide retirement planning options through annuities. Term Life Insurance: Term Life is the prevailing common option that many consumer choose because it provides good coverage at at the most affordable rates. Your coverage is guaranteed for the extent of your chosen term and Liberty Mutual offers term lengths of 10, 15, 20, or 30 years. The benefits that are paid out are also guaranteed to remain the same for the full term and every policy may be personalized to fit your life with a number of riders and options that can be purchased for full coverage. Whole Life Insurance: Unlike term life insurance, this option allows you to build cash value while keeping your premiums fixed and providing reliable financial protection for your beneficiaries. The cash value that accrues may also be withdrawn by way of loans taken from the fund. 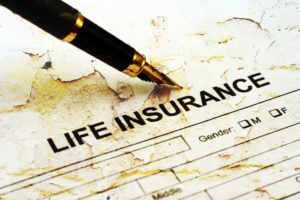 Universal Life Insurance: This type of coverage offers many of the same great advantages of both term and whole life insurance plans but with additional flexibility for changing your coverage as your life changes. Universal coverage has the same dependable options for protection while also building cash value that is tax-deferred. Universal life insurance is a smart option for those consumers who want greater control over the financial future for themselves and their beneficiaries. Planning for retirement is also a strong suit for Liberty Mutual with their fixed deferred annuity options. When you purchase one of these you are building wealth for your retirement through earned interest on your payments. The interest rate is fixed and is guaranteed never to drop below a pre-determined minimum. The money you earn is also tax-deferred and Liberty Mutual offers a number of different annuity plans to fit your needs. Liberty Mutual offers all manner of protection along a variety of insurance products that have made them one of the most reliable and trusted companies operating today. Their service and policy options make them worth a look when you are researching the best companies to meet your needs. When a company has been in business for over 100 years, they must be doing something right.